This bright split floor plan home has 4 bedrooms, 2.5 baths & attached 2 car garage. Roomy open kitchen has new cabinets & new granite countertop with sub-mount sink, new faucet with pull down sprayer, new garbage disposal, new stainless-steel range, fridge, dishwasher & a pantry. Adjacent to the kitchen is an informal eating area which also faces the 18 foot family room with fireplace. Family room leads to a large screened in porch. Foyer opens to the living room with the formal dining room to the left of the entrance. Spacious master bedroom has a big walk-in closet & a master bath with large double sink vanity plus tub & shower. New 16 inch ceramic tile in the kitchen, all living areas & baths with new wood flooring installed in all 4 bedrooms. Large utility room has washer & dryer hookups plus a wash basin. Home has been newly painted inside & out. Architectural shingled roof installed in 2005. Front yard has been newly landscaped. Huge back yard has plenty of area for kids or dogs to play, is completely fenced with concrete wall on back edge & new wood fencing with gate facing the front yard. 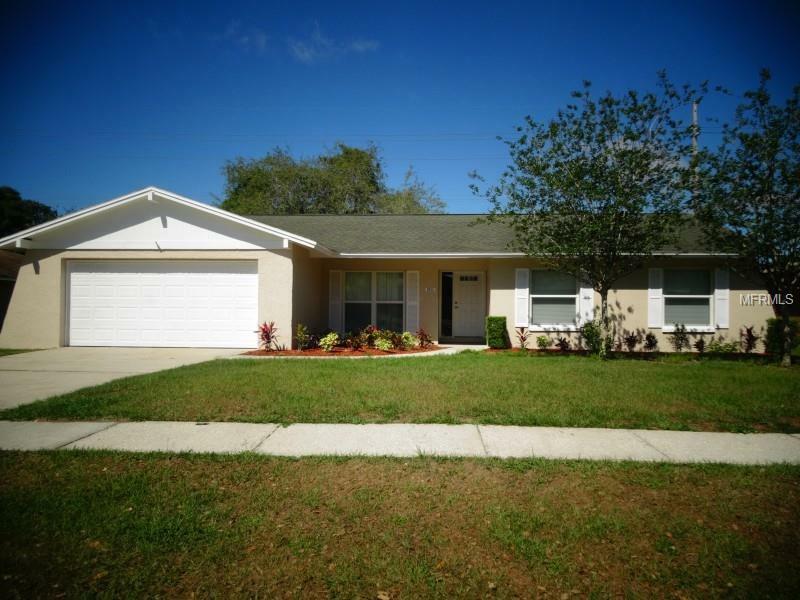 Home is in Bloomingdale Subdivision with semi private golf course, clubhouse, pool, basketball & tennis courts.